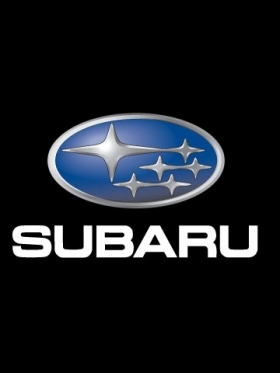 TOKYO -- Subaru of America stopped the sale of 2012 Impreza, Legacy and Outback models on Friday, Nov. 25, following customer complaints about increased brake pedal travel. Parent company Fuji Heavy Industries says it is recalling around 3,000 cars already sold and delivered. The company received about 130 reports of the faulty brakes and confirmed the problem on three vehicles. The company says the brakes work. "Some customers said the brakes didn't feel right," said Subaru of America spokesman Michael McHale. "The pedal travels farther than it should. There were no failure issues, no accidents." The needed repair is a replacement of the master cylinder. McHale said the 130 field reports came either from dealers or dealership personnel handling the cars. NHTSA has been informed and recall notices to vehicle owners are in process and are expected to be sent out within the next day or so. The stop-sale in the United States went into affect on Nov. 25. McHale said he expects the sales freeze to be lifted within a few days, possibly early next week. The majority of vehicles are Legacy and Outback models built at Subaru's SIA plant in Lafayette, Ind. A few were Imprezas built at Subaru's plant in Gunma Prefecture in Japan. The master cylinder is a common part for the three vehicles made by an unnamed supplier. The faulty parts were in one production batch. McHale said the first priority was to repair the 3,000 vehicles already sold and then fix vehicles still in inventory. He said the repair takes about one hour. He said line production in Indiana and Japan may already be fitted with the new brake cylinders. McHale said he was not personally aware how many vehicles were equipped with the faulty brakes, including cars delivered to customers and those in inventory. But he estimated the number to be in the "low thousands." The 3,000 recalled vehicles reflects about 4 days of sales. "The dealers are frustrated," said McHale. "They don't have a huge inventory."